WITH a new name and some talented new players - Gladstone basketball is powering up for a big year. The Gladstone Phoenix Group CQ Power teams officially launched the 2013 season at Kev Broome Stadium on Saturday night. In the lead up to the first game in May, the teams took on Bundaberg Bears in some tough pre-season practice. As usual, the women's team proved they are title contenders, smashing their rivals 92-69. But the men's side was not so lucky with a 71-65 loss. Despite the disappointing result, men's coach Dale Iwanicki remains positive for the up-coming season. "The score is irrelevant," he said. "It's a game in which you look to improve on things. "We did some things well but now we know what to improve and work on." And after months of hand-picking a talented team of high character basketballers, Iwanicki said playing three players down didn't help either. "I'm looking forward to playing with a full team," he said. "It's hard without all our key players." Recruiting players in an industrial working town like Gladstone has been a tough job according to Iwanicki, but he's happy with how it's worked out. "It can be hard to secure players, it's not something that just happens," he said. "It's been a three to four month process but the men's Power side now has a great spread of youth and experience." The remaining players are set to arrive in the next few weeks. Until then, Iwanicki plans to hone in on any areas in need of improvement in time for the first game. "With our new players we should improve greatly on last year's performance," he said. "We should be pretty successful this year." 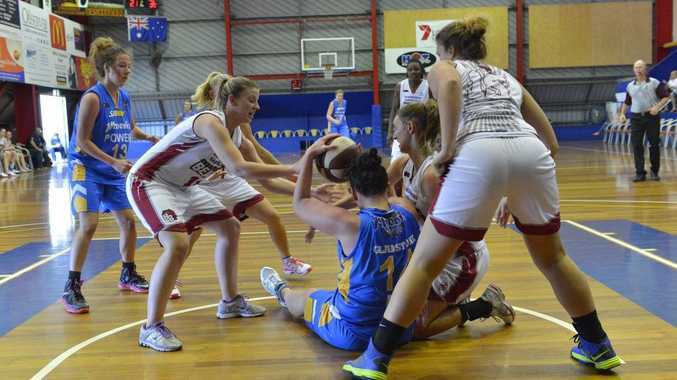 Phoenix Group CQ Power will tip off the 2013 season with a home game on May 11 at 6pm and 8pm against Rockhampton.